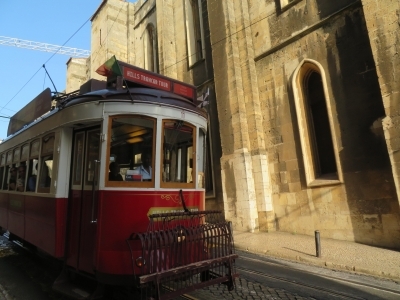 Historical Lisbon, Global City is part of the Tentative list of Portugal in order to qualify for inclusion in the World Heritage List. This patchwork or tapestry (take your pick) of historical Lisbon spans sites (not limited to) a Roman theatre, São Jorge Castle (Moorish 10th century), Sé Cathedral (13th century), and 18th century Pombaline Lisbon. Logistically, the boundary of such a diverse span of history in Lisbon would include a large territory spanning several neighborhoods. Here listed: Alfama, Bairro Alto, Baixa, Bica, Castelo, Chiado, Mocambo, Mouraria, Pena, Santa Clara, São Vicente and Sé. Prepare comfortable walking shoes as these areas cover the hills/stairs of Afalma, the waterfront, and central Lisbon. Besides walking, the metro train is convenient, the tram system includes 6 routes, and perhaps surprisingly "Tuk Tuk" 3-wheeled vehicles navigate the hard to reach medieval hillside streets. Lisbon is a city that is perhaps still discovering what makes it unique. It is special no doubt and worth exploring, but the two Lisbon nominations do reveal the complex web of cultures and architectural themes that are on display. This nomination certainly overlaps with the nomination of Pombaline Lisbon but includes additionally all the other areas of the older city center. When the text for Pombaline Lisbon seems already a bit enumerative and unfocused this is even more the case for his nomination. 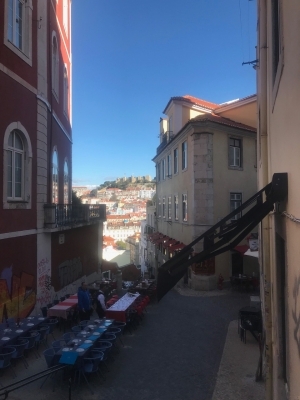 Lisbon certainly has a long history that starts from the Phoenicians and the Romans, but nothing is left of the first and very little of the second. The also nominated area on and around the Alfama hill is very nice and based on the old islamic city but of this seems only the layout left and there are much better preserved islamic quarters in world heritage cities like Granada and Cordoba, to name only some examples in Europe. The very important era of exploration is very prominently covered with the Monastery and the Tower in Belem. Perhaps the most important part is the Baixa, the central quarter that was rebuilt after the big earthquake. In addition the text mentions among many things the Azulejos, the miradouros and even the Fado. Lisbon is a very interesting city with many distinguishable nice neighborhoods and full of history but I think it is neither coherent nor various enough to justify a nomination of the entire old city. I found the old city of Porto not necessarily more interesting but more coherent and beautiful from a touristic point of view. I think though Lisbon stands a chance if it concentrates on the Pombaline Lisbon and its influence on aseismic construction and on modern city design. Together with Belem they would have two sites within the city or even three if you include the glorious area of Sintra.